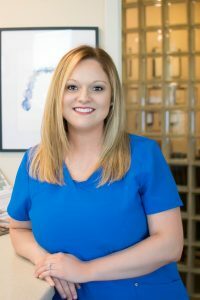 Melissa, a Registered Dental Hygienist, has 15 years of experience in Dental Hygiene serving the Central Arkansas area. Melissa was in the 9th grade when she realized she had a desire for helping people. She combined that desire with her interest in dentistry to pursue her dream of becoming a Dental Hygienist. 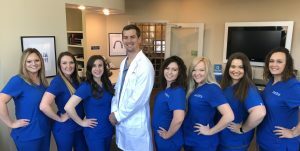 After graduating from the University of Arkansas For Medical Sciences, she became committed to providing her patients with the best quality care possible while keeping them relaxed and comfortable. When Melissa’s not at work you can find her spending time with family. They all enjoy spending afternoons and weekends at the softball fields along with many other outdoor activities such as gardening, hiking, and camping. Sarah is excited to be able to service patients back in her hometown of Conway. 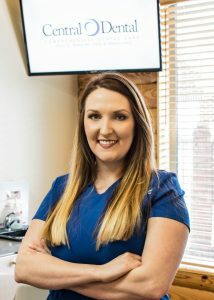 Sarah has had a passion for dentistry from an early age and began working in the field at the age of 17 before earning her Bachelor of Science in Dental Hygiene from the University of Arkansas for Medical Sciences. 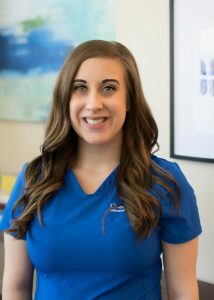 Her goal is to provide genuine guidance to her patients on a personal and individualized level and enjoys treating her patients to a relaxing and rewarding experience all while addressing their oral health needs. When Sarah isn’t helping patients, she spends her spare time with her husband, Colton, and four-legged goldendoodle child, Bear. She enjoys making memories with her family and baking new recipes, especially during Razorback football season. GO HOGS! Kayla has been a Dental Assistant for over a decade and loves working at Central Dental. 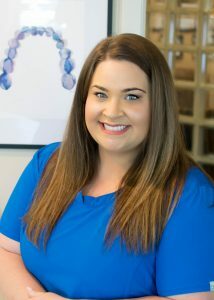 She was born and raised in Arkansas and is passionate about serving patients within the Conway community. Her favorite part of working in a dental office is seeing the difference in a patient’s smile! She and her husband, Wesley, have a son named Weston. Kayla’s favorite things to do are going to the beach, watching baseball games (Go Cubbies! ), and calling those Hogs! Paige is a graduate from Eastern College and has been working in the dental field for several years. She enjoys spending time with her family and friends and being a mom to her son, Tate. She loves exploring the beauty of Arkansas with her family. Hannah is a graduate from Eastern College who discovered her passion for dentistry through her eagerness to learn. She enjoys meeting new people and helping individuals overcome their fears related to dentistry. She is devoted to educating patients on their individual needs. In her spare time she values traveling, being outdoors, cooking and being with family and friends. 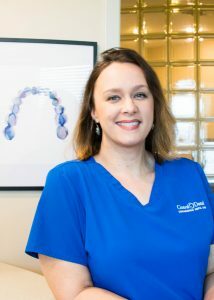 Andrea is new to the Central Dental team and has been an RDA for over 5 years! 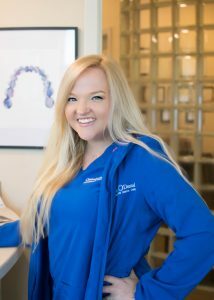 She loves interacting with patients at the office and has found that working in dentistry is a great fit for her outgoing personality. Andrea lives in St. Vincent and when she’s not hard at work, you can find her spending time with her husband, Steven, and their 3 boys, ages 14, 11, and 5. She spends most of her free time camping, kayaking and going to all sorts of sporting events for her kids. She also loves watching ESPN and cheering on the Razorbacks. Fill out our Appointment Request Form below! Our staff will get right back with you to confirm the details!